Hello everyone! How was your Christmas? I'm sure everyone is tired yet so happy with the parties, food, gifts and the company of your friends, families and all the special people in your lives. 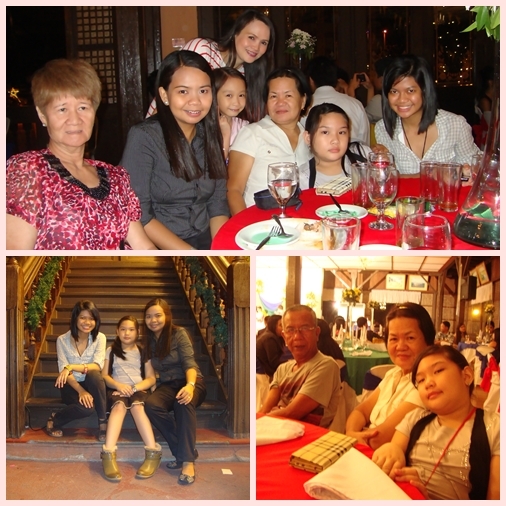 As for me, I attended a couple of Christmas parties at the workplace, had dinner and went malling with one of my best girlfriends, fulfilled some things in my mother's wish list and spent Christmas day with my maternal relatives in the province. 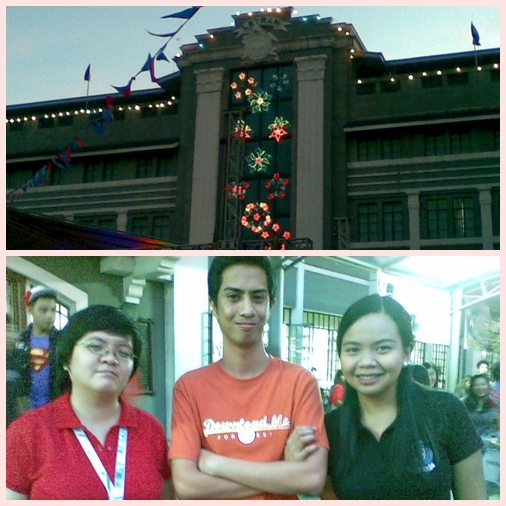 In this post, allow me to share some of the Pre-Christmas activities I attended. I work for a Catholic college so Christmas is one event we really look forward. A number of activities for both the students and employees are regularly conducted. For the students, an annual Christmas feast is organized where some famous local bands perform. 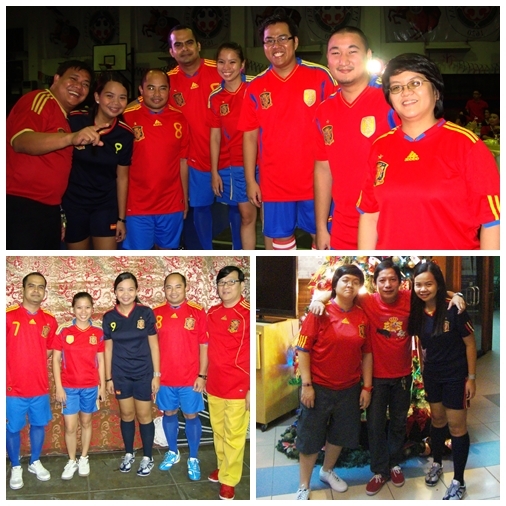 Since we were only told to wear Spanish inspired costume, I thought of wearing the jersey of Spain's National Football Team. I bought a pair of jersey, which I believe is more useful and practical because I can use it for my weekend jogging. As it turns out, some of my colleagues also had the same idea. We were even nominated for best costume. Diane, your just a little doll! Looks like the holidays were filled with fun for you, and so glad you got to enjoy them. Wishing you a very happy new year from Soph and me! I'm so sorry I missed your birthday, Diane, so here's wishing you a belated "Happy Birthday!" It sounded like you had a very nice & fun day even though you were at work. Thanks for sharing your office Christmas Party. Your idea of the jersey for your themed party was great. You look really cute in your outfit. You have such a great smile - so sweet & cute. I'm glad you had a great Christmas, enjoyed family-time, & have had some days off! Happy "almost" New Year 2012! It looks like you're all having such a fun time. So good to hear you enjoyed the special time with your family and friends. I wish you all the best in the new year Diane. Big hug! These photos are amazing! It looks like it was such a fun event!